Age, shmage. If we had one rule (but we’re not a fan of rules) it’s that fit is king when it comes to whether you should or shouldn’t add an item to your closet. To be clear, slim does not equal skinny. 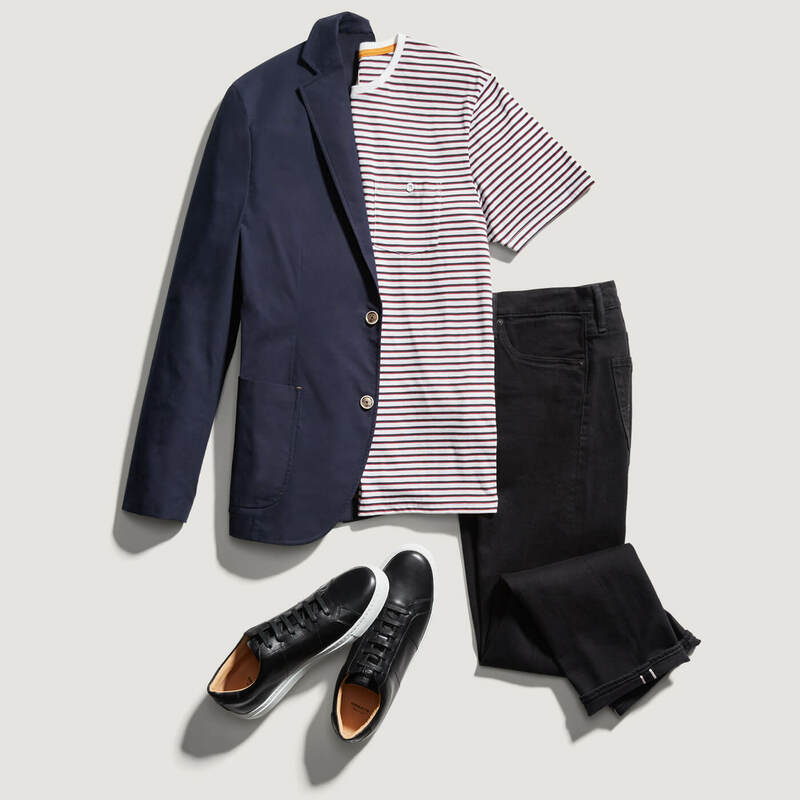 Think of slim fits as a more modern take on your staple straight leg styles. Here’s how to wear slimmer fits when you’ve reached your refined years. Like we mentioned, fit is king, so track down the right pair for your build. 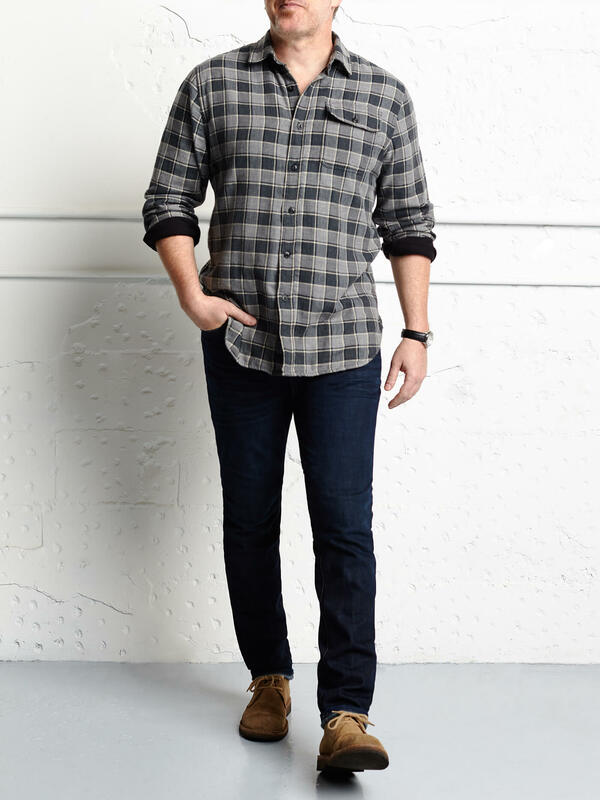 Avoid any pants with a too-tapered leg (this is wading into skinny territory) and those with a relaxed silhouette (like a classic chino or relaxed-fit jean). A true slim pant should just barely graze your bum, thighs and calves. Not sure if you’re ready to a true slim fit? Dip your toe in the shallow end with a hybrid fit pant in a slim-straight cut. Keep the style hits coming with a pair of dark wash slim jeans or dark pants. The darker the pant, the more refined your look—even when you keep it casual. 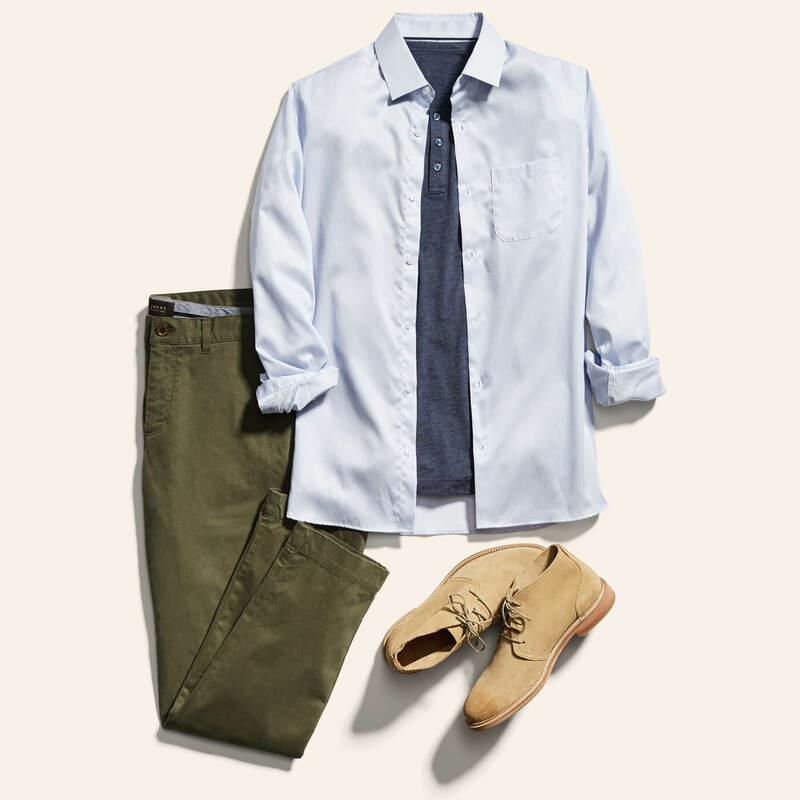 Wear them to work with a stretch button-down or pair a classic tee with sneakers and slim fit jeans. And don’t worry—you can wear brown shoes with dark pants. Are slim fits new territory for you? Ease into them with stretch (seriously, get a pair with stretch). Look for slim chinos or jeans that have elastane or spandex in the fabric to get an ultra comfortable fit all day long. So you’ve got your slim pants, now it’s about your head to toe look. Need some starters? Swipe left. Pair with a properly fitted button-up, polo or nicer tee. 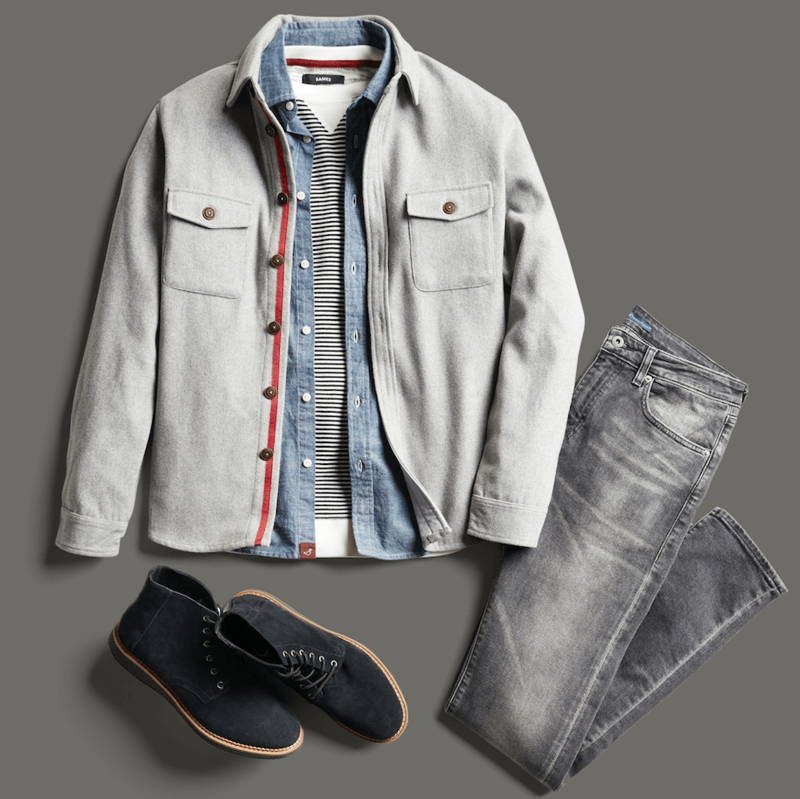 Add a blazer for a refined feel or try a field jacket with more casual wear. Don’t forget some sharp shoes! Monkstraps, chukkas or a pair of elevated leather sneakers tie your whole outfit together and showcase your style. Ready for a pair of slim fits? Get a pair delivered straight to your door.